Now, I read this book earlier this year and wasn't really ready to write about it yet. I'm going to keep this review short and sharp, because if you haven't read The Bone Season before you should be reading it now and I don't want to distract you further. The Bone Season was recommended to me by my good friend Lauren (@fictiontea on Instagram) if you keep up with my reviews, and I hope that you do, you might have noticed that I've been reading a lot of books thanks to her advise. She recommends the best books. Because of the fantasy/paranormal elements in the book it can be a little overwhelming at first as you have to learn about all the different abilities that clairvoyants can have, but do not let that deter you! After a few chapters you begin to settle into this new, yet familiar, world and you will definitely fall in love. I really enjoyed this part of the book. I actually don't read that many books with paranormal elements (and yes, maybe that's because the idea of ghosts totally freaks me out) but throughout The Bone Season I just craved more information, I wanted an entire 500 page history of clairvoyants, how they came to be, quirky stories about poltergeists, is it passed down in blood-lines a certain way or something else? 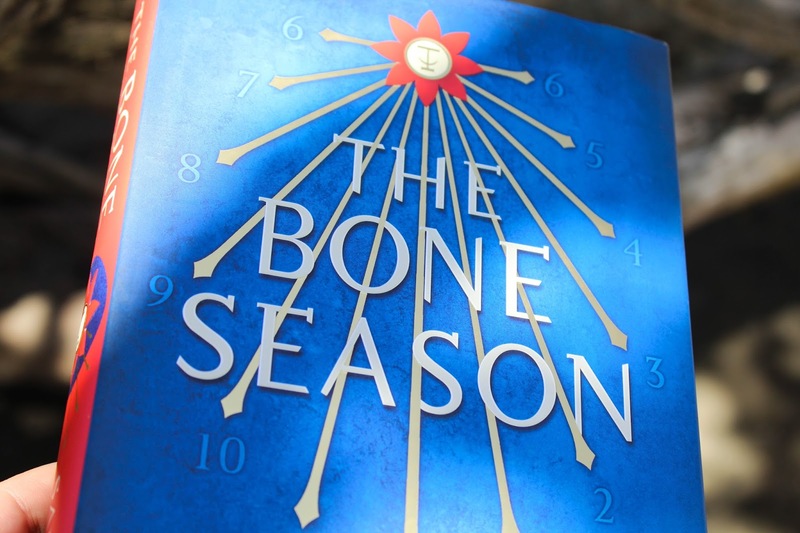 Although The Bone Season does fill you up with just the right amount of information and stories (so it's not overwhelming) it still left me needing more. 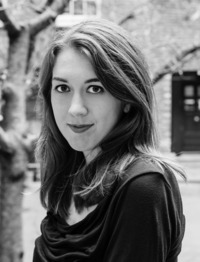 The main character, Paige, is one of the most honest characters that I've read in a while. That sounds kind of odd, but do you ever read books where the protagonist kind of does things that a hero should do just because they're the main character and sometimes it has nothing to do with their personality at all? This isn't the case with Paige. Every action she does and every decision she makes is just so on point with her character, it's one of the reasons that I adore her so much. Shannon definitely remained faithful to Paige's character. I honestly don't want to say too much about this book because it's such an awesome one. I kind of went in blind, avoiding all reviews and blurbs other than the one on Goodreads and I feel as though that helped with my read, hence the very vague review from me. From the very first page I was sucked in and had to message Lauren to tell her I was an idiot for waiting so long to read it (and I'm being kind of an idiot by dragging out my reading of The Mime Order, but The Song Rising doesn't release till next year, so I'm justifying it that way??) Anyway, if you're a lover of fantasy/paranormal books then please, please pick The Bone Season up! It's easily become one of my favourite books ever and I hope that I fall in love with the rest of the series just as much. I gave The Bone Season 5/5 stars (★★★★★) -- Go get a copy and read it now! Bloomsbury Publishing is giving away *signed* copies of On the Merit of Unnaturalness (which will make sense if you've read The Bone Season) it's open internationally and you only need to answer a very simple question to enter! Click here for the giveaway! There's going to be six winners and it closes March 17th. 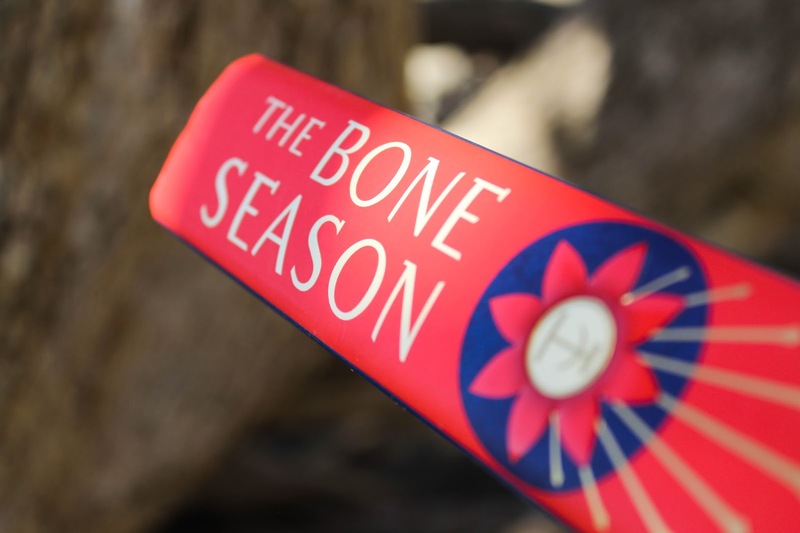 Have you read The Bone Season? What did you think? Let me know in the comments!